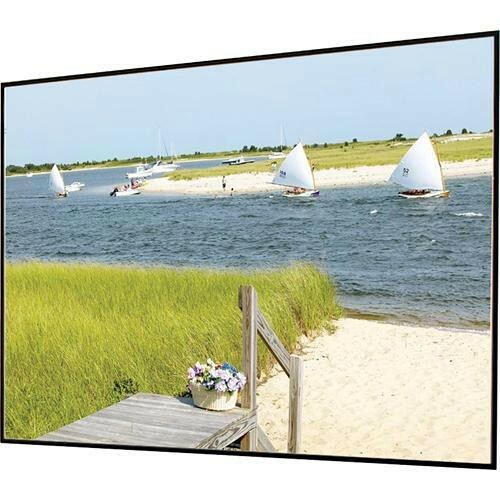 The black-framed 252140SB Clarion 36 x 64" Fixed Frame Screen from Draper is a permanently tensioned projection screen featuring a flat viewing surface, optimized to provide maximum picture quality. To provide tensioning, the viewing surface is stretched tightly behind a beveled black aluminum frame. With a snap-free design, the screen features Z-clip wall mounting brackets to simplify installation.